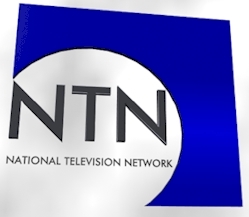 October 11, 2001 - The government’s quest to provide more relevant, appropriate and informative public broadcasting for St. Lucia, in an age of increasing choices, will be taken a step further this weekend, when the National Television Network (NTN) is formally launched. The result of an interesting mix of rare circumstances, the new TV Channel promises to provide alternative programming. NTN promises that its programmes will allow St. Lucians to see and hear more local and Caribbean images on our TV screens, while bringing the world to our living rooms. It also promises to help us share experiences and learn from each other as we strive to keep our place in changed and still changing world. NTN, which will be operated by the Government Information Service (GIS), has been available on CableVision Channel 2 for quite some time. The reservation by the cable operator of one of its over 40 channels for use by government has allowed for its use for government programming, such as for nationwide addresses by the Prime Minister or broadcast of meetings of Parliament, press conferences and other such uses. In between government programmes, the Channel mainly broadcast CNN’s Headline News. With GIS already long being in the business of producing government programmes for the local commercial stations and the availability of a highly competent cadre of television production specialists trained at public expense, GIS has decided to take Channel 2 one step further. It now seeks to make more use of the time available by increasing its production capacity-- and its productions. It will provide a showcase for quality local productions by independent producers. It will seek to break the urban bias in national television coverage by involving and portraying communities around the island. And it will also bring to St. Lucian viewers the best in Caribbean TV productions through its contacts and arrangements with regional and international producers and media houses. But all this isn’t new. Since May, NTN has been providing a test transmission. It initially offered four hours of programming – a mix of educational and informative programmes that were repeated every four hours. Those programmes and video productions reflected St. Lucian and Caribbean history, local tourism sites, national events and international perspectives, and won rave reviews from viewers. As of this coming Sunday, GIS says it will be aiming to fill the entire 24 hour slot on NTN with relevant programming over the next few years. What this represents, according to those in charge, is the fact that we in St. Lucia have broken new ground with a new approach in the field of public service broadcasting. This has been done by providing an avenue to redress the long-standing imbalance between foreign and local information and images on our TV screens. That will certainly help to allow us to better judge ourselves in relation to the rest of the world. NTN will also seek to provide a better balance between the necessity for public service broadcasting, on the pone hand, and the inevitable growth and expansion of competition between commercial, advertising-based mass media, whether in TV, Radio or newspapers. The ongoing experiment in creative public service broadcasting has been proving fruitful to both GIS and Cable & Wireless through added quality local content on Cablevision. It also provides both a challenge and a window for local producers. And most of all, it provides yet another important source of information and entertainment in St. Lucia, about St. Lucia and for St. Lucians -- and visitors alike -- one that we can only hope will be quite different, yet satisfying and enjoying. GIS must be congratulated for its continuing efforts to keep up with the changing times and technology in its quest to meet its public service broadcasting objectives. Not too long ago, GIS launched its own Government of St. Lucia Website, which is the already richest inventory of information about St. Lucia, its Government and people available on the Internet. Sunday’s launching of NTN is something we are all looking forward to, including this and other existing TV stations that can also be found on CableVision. The choice, dear viewers, is always yours. NTN simply promises to deepen, broaden and increase that choice.